← If not Tell Ḥesbân, where is Heshbon? The photo below was made from the top of Tell Ḥesbân in Transjordan. It provides us a view of the general area of Moab during the period of the United Kingdom of Israel, and the Divided Kingdoms of Israel and Judah. 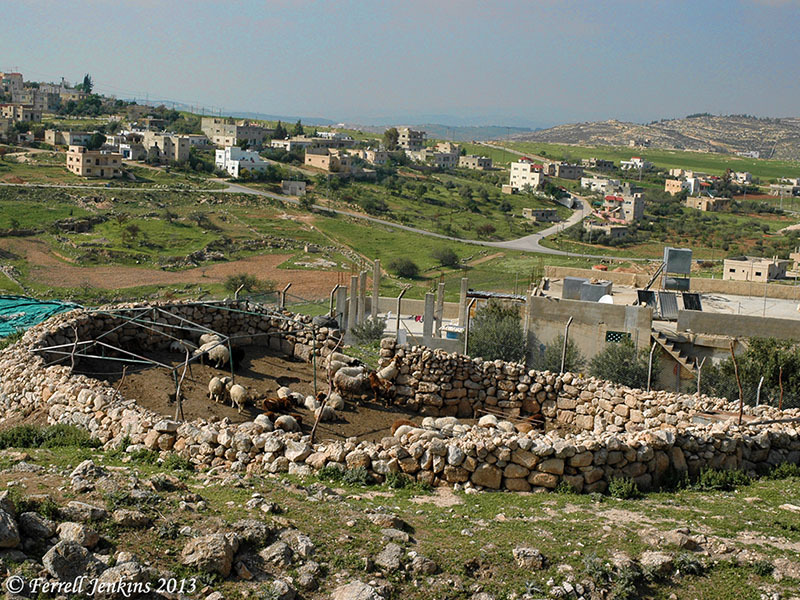 Sheepfold on the slope of Tell Ḥesbân. View of territory of Moab. Photo by Ferrell Jenkins. I find it fascinating that the modern locals pick up on the ancient names in order to attract the tourists who visit the area. 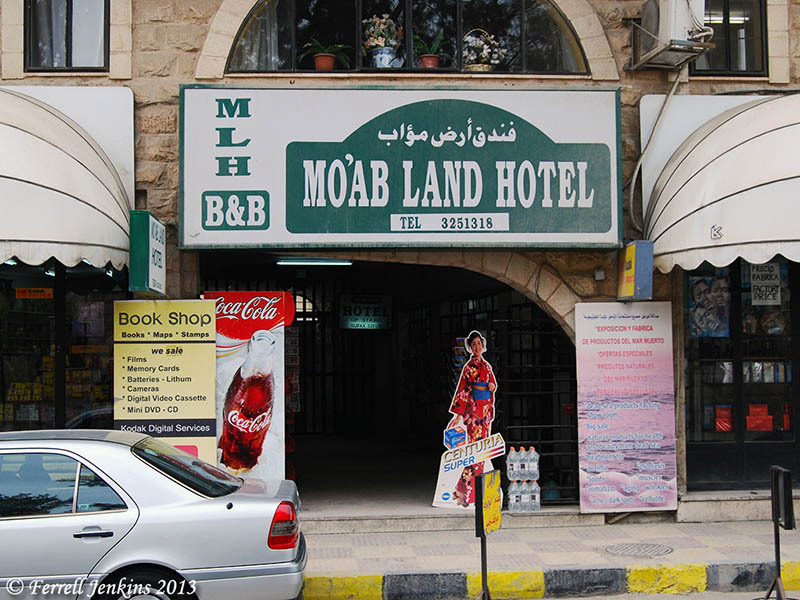 At Madaba, about six miles south of Ḥesbân, there is a small hotel named Mo’ab Land Hotel. How appropriate. The Moab Land Hotel in Madaba, Jordan. Photo by Ferrell Jenkins. This entry was posted in Bible Lands, Bible Places, Bible Study, Culture, Jordan, New Testament, Old Testament, Photography, Travel and tagged Moab. Bookmark the permalink.